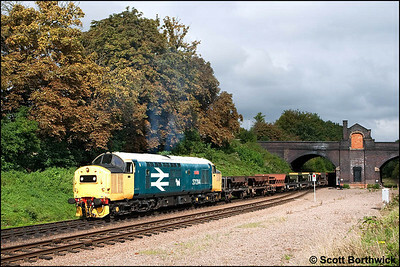 37314 'Dalzell' arrives at Leicester North with a rake of empty ballast hoppers on 14/09/2009. 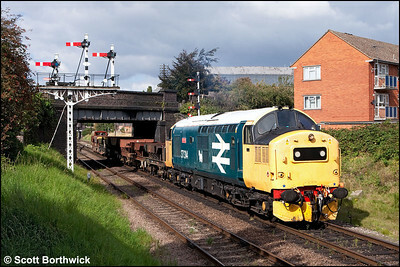 37314 'Dalzell' awaits the road at Loughborough Central's distant signal on 14/09/2009. 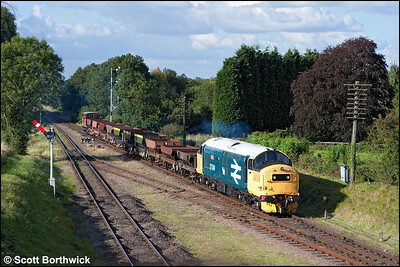 37314 'Dalzell' sets back its rake of ballast hoppers at Beeches Road, Loughborough on 14/09/2009. 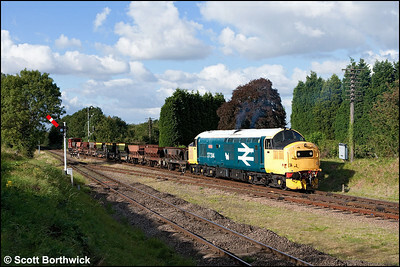 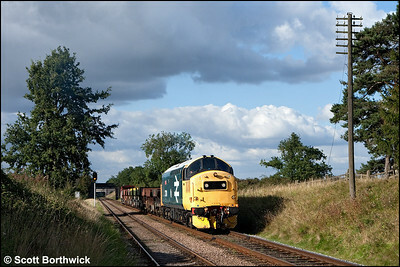 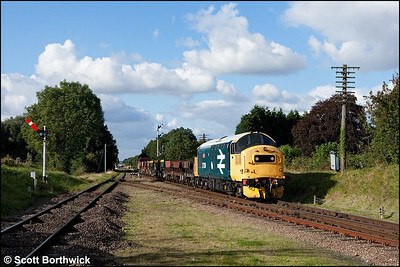 37314 'Dalzell' passes Woodthorpe with a rake of empty ballast hoppers on 14/09/2009. 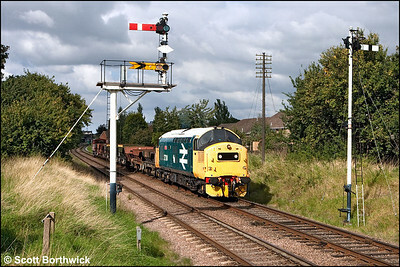 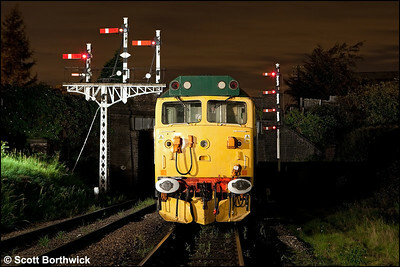 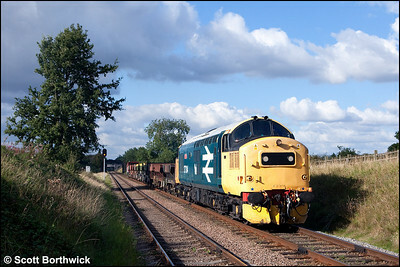 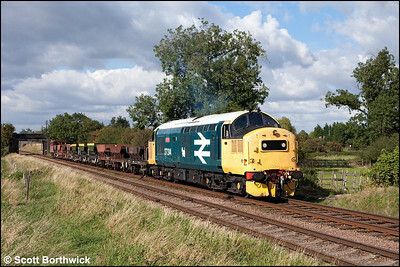 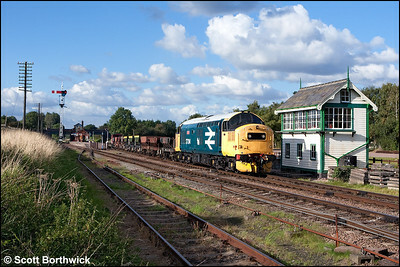 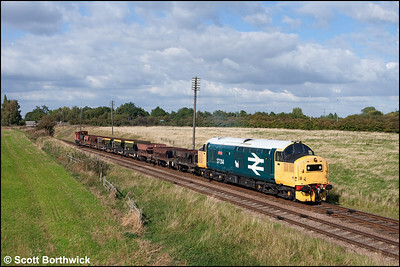 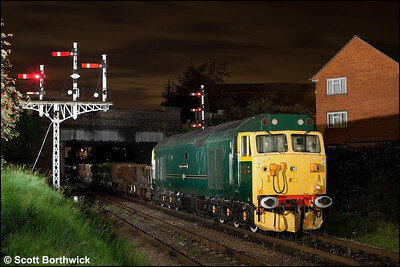 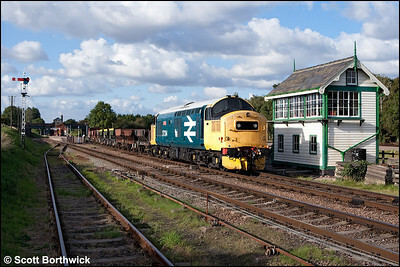 37314 'Dalzell' arrives at Quorn & Woodhouse with a rake of empty ballast hoppers for Leicester North on 14/09/2009. 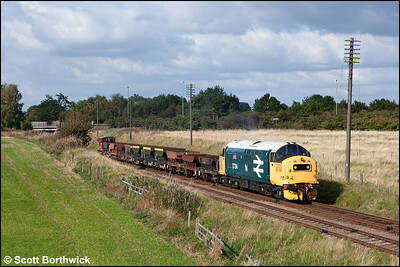 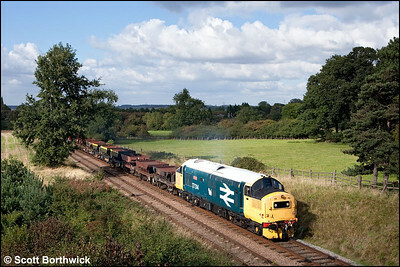 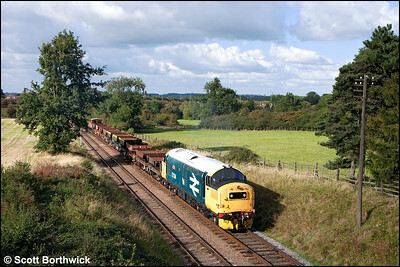 37314 'Dalzell' departs from Quorn & Woodhouse with a rake of empty ballast hoppers for Leicester North on 14/09/2009. 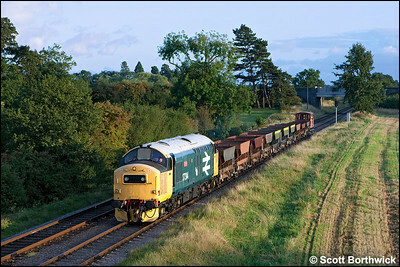 As the sun sets, 37314 'Dalzell' heads for Loughborough Central as it passes Woodhouse with a rake of empty ballast hoppers from Leicester North on 14/09/2009. 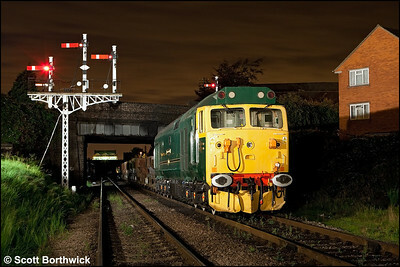 50007 'Sir Edward Elgar' stands silent at Beeches Road, Loughborough during an engineering possession on 14/09/2009.